Best Hiking Skirts: Do You Need One? Have the freshest free hiking tips sent to you each month! I understand that you will only use my information to send the free Happy Trails newsletter; I can unsubscribe at any time. Or maybe you call them walking skirts? 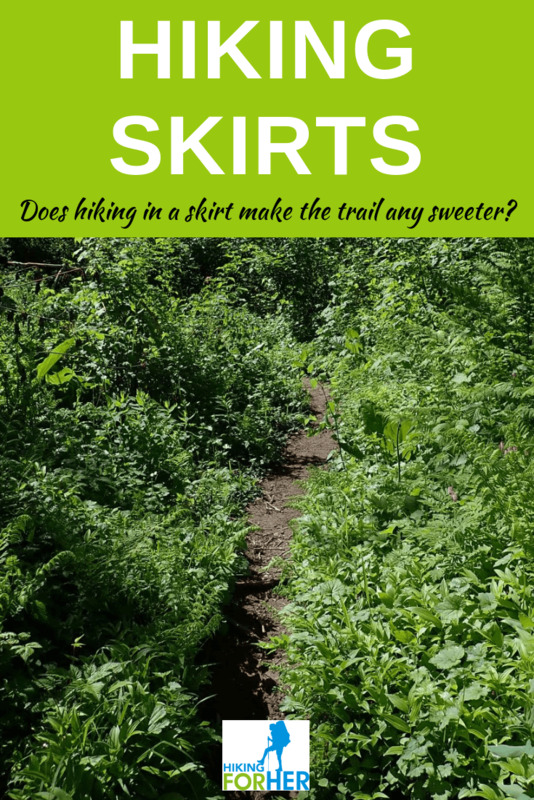 The question surfaced because I've been fascinated by this idea for women hikers ever since I saw a woman hiking the Pacific Crest Trail in a skirt that reached to her knees. Her heavily muscled, rather dusty legs screamed "competent hiker!!!" And I began to wonder whether hiking in a skirt was a good idea. Historically, skirts have been used by both genders. Back in the "olden days", women always wore skirts, regardless of the activity. Take a peek at my Pinterest page for some vintage photos of hiking women in skirts! And men have worn kilts in the outdoors for generations. But are they a good idea for hikers? Would the view of Mt. Rainier seem better in a hiking skirt? Is a hiking skirt practical? Can bare legs be realistic when you're hiking off trail through brush and mud? Is a modest hiking skirt designed to give you freedom of movement while it covers all of your assets when hiking up hill? Does a skirt make answering Nature's call any easier? This forum kicks around the question from multiple angles: freedom of movement, ease of answering Nature's call, ventilation ... have a look for yourself. One more suggestion: Check out Athena Garments. What I like about these skirts is the evident thought and creativity embedded in them. Here's a skirt I find to be worthy of your attention, because I own one and it rocks. and it can be worn into town after a hike if you select a hide-the-dirt color. I've got one hanging in my hiking clothes closet for all of these reasons! If you'd like a comfy skirt that has built-in semi-compression shorts, comes in sizes XS - XXL and a wide array of colors, and has the delightful name Happy Girl Skirt, plus UV 50+ protection, how could I blame you?? After all, it's made by a woman owned company named Skirt Sports. If you really get into this hiking skirt thing, you'll need several types to manage temperature and moisture levels. Get started with selecting the best hiking skirts here. Hiking kilts for men offer the same advantages that women's hiking skirts do, including ventilation and freedom of movement. Mountain Hardware makes a trail worthy kilt in a weather resistant fabric, providing moisture wicking as well as modesty. And I'm not the first woman to notice that a man in a kilt is worth a second look. I hope you'll share your own experiences if you definitely DO or DO NOT like to hike in a skirt. Many women hikers would like to learn from your experiences. Send in your comments and opinions about the wisdom or down side of wearing a skirt on the trail - it's really easy to do using the form below. And thanks in advance for being willing to share with your trail sisters. Should skirt wearers have a secret handshake or something? Clan of The Skirt Hikers! Do you have a strong opinion about this? Share it! Tell us which side of the fence you're on by starting with a captivating title. For instance: Why I always wear a hiking skirt! TIP: Since most people scan Web pages, include your best thoughts in your first paragraph. That way you won't lose your readers. Do you have a picture of your favorite hiking skirt to add? Great! Click the button and find the first one on your computer. Select it and click on the button to choose it. Ventilation for sure. Look. I like the length on this one. Once I started wearing a skirt I have never gone back. Love them. please contact me directly. I'd love to talk with you. Hiking For Her's weekly emails keep you current on hiking & backpacking news. Free, fast, fun info for you, every week of the year - just use the box below! Why wait a whole month? Plus, there's never enough room in the newsletter to share it all, so why miss out on exclusive Hiking For Her giveaways, limited time gear deals and discounts, freebies, updates, and more? A short, info packed weekly email update will keep you current on all things hiking! Hurrah, it worked! Welcome! Just one more little step (sure, that's what they all say on the trail...) Please check your email to confirm your subscription, and watch for your first weekly message from Hiking For Her. Lots of great gear deals, fresh tips, freebies, exclusive offers and updates are headed your way. 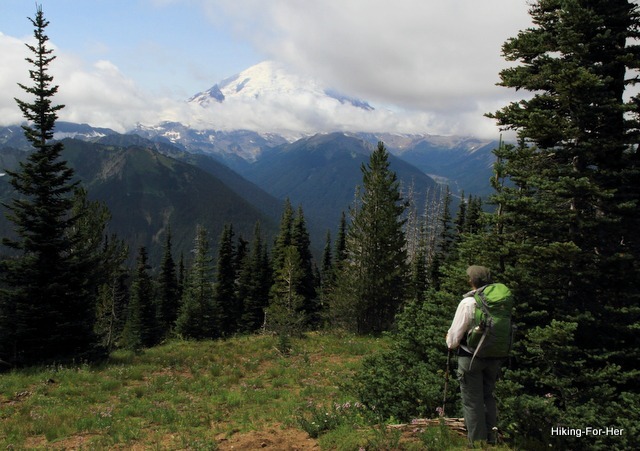 Hiking For Her is a participant in the Amazon Services LLC Associates Program, an affiliate advertising program to provide a means for us to earn fees by linking to Amazon.com and affiliated sites. LOOKING FOR A HIKING COMMUNITY? Hiking For Her: Hiking tips you can trust! No photos or written material can be used without permission.